I’ve been spending a lot of time in Georgia for the past year, and as that time comes to a close, I’m going to try to review a few more local Georgia beers before I lose access. 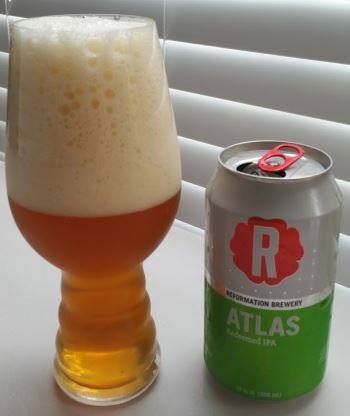 Today is Atlas IPA, from Reformation Brewery in Woodstock, GA. It’s am American IPA with lemon and a bit of bread and pine in the nose. The middle is peppery, with lemon and orange, and some orange and pine in the finish. A really nice, well done IPA that doesn’t stand out from the crowd and is an easy drinker. The body is medium, and the alcohol is 6.8% ABV. This entry was posted in Reviews and tagged Ale, American IPA, Georgia, IPA, Reformation on April 30, 2016 by Xander. I’ve done several Allagash reviews lately, and there are more to come, but tonight’s brew is their Tripel ale. It’s a beautiful bottle-conditional standard Belgian Tripel, with yeast, honey, and fruit in the nose. The middle is fruity with pear and grape notes dominating. The finish is sweet and silky, with just a hint of pepper at the end. It’s an outstanding example, perfectly executed, one of the best of the style. The body is medium to heavy, and alcohol is stout at 9.0% ABV. This entry was posted in Reviews and tagged Ale, Allagash, Belgian, Belgian Ale, Belgian Tripel, Maine, Tripel on April 19, 2016 by Xander. From Stone’s Stochasticity Project, HiFi+LoFi Mixtape is a blend of fresh strong ale with ale that’s been aged for three months in oak. According to Stone, this was a common practice when fresh stock ale was smoky and bitter, it would be mixed with ale that had aged and mellowed to make it more drinkable. I don’t know about the old stuff, but Stone’s version is definitely drinkable. The nosy is slightly yeasty with lemon, and maybe just a tiny hint of oak. The middle is deliciously full of flavor ranging from sweet apple to creamy butter, and bitter pine. The finish is bready and slightly sweet. The body is medium and the alcohol is stiff-ish, at 8.8% ABV. I love barrel aged ales, and this is no exception. This entry was posted in Reviews and tagged Aged Ale, Ale, American Strong Ale, Stochasticity, Stone, Strong Ale on April 19, 2016 by Xander. Allagash calls Black a Belgian-style stout, brewed with roasted and chocolate malt and caramelized candi sugar. The nose has a bit of coffee and dark fruit. The middle is silky smooth and bready. It’s brown sugary sweet, but only mildly so; not too sweet. Coffee and chocolate rise in the finish. The body is medium to heavy, and the alcohol is high for a stout, but not for a Belgian at 7.5% ABV. A beautifully executed stout, in all, and lovely to drink. This entry was posted in Reviews and tagged Ale, Allagash, Belgian, Belgian Ale, Belgian Stout, Belgian Strong Dark Ale, Maine, Stout on April 15, 2016 by Xander. 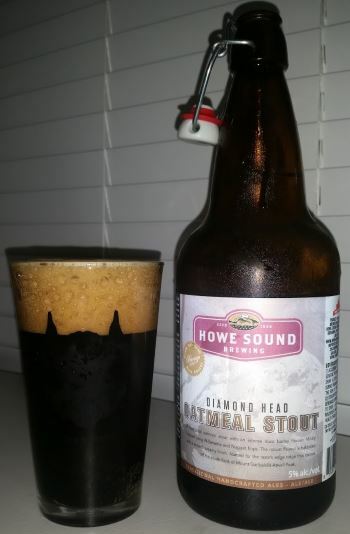 Diamond Head is a traditional Oatmeal Stout from the fine folks of Howe Sound Brewing in beautiful British Columbia, and I love a good Oatmeal Stout. The nose has roasted grain and caramel. The middle is smooth and silky as an Oatmeal Stout should be, and bready and toasty with hints of coffee and oatmeal. The finish is dry, as the oatmeal kicks up and the sweetness in the middle disappears. 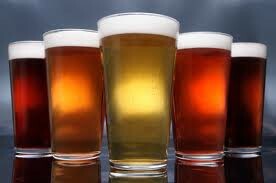 The body is light to medium and the alcohol level is 5% ABV. A really nice, classic Oatmeal Stout. This entry was posted in Reviews and tagged Canada, Howe Sound, Oatmeal Stout, Stout on April 12, 2016 by Xander. 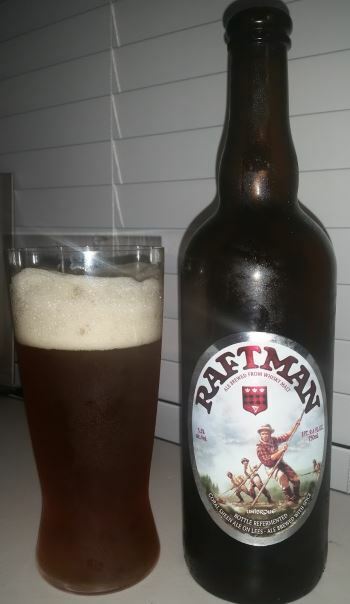 Raftman is a Belgian Pale Ale from Unibroue, made with smoked whiskey malts. The nose is floral, yeasty and bready, with a bit of lemon. The middle is fruity and light. Banana, apple, and pear are here. I have to say, I’m not picking up any smokiness from the malt at all. The finish is more of the same. The body is medium, and the alcohol is a pleasant 5.5% ABV. A nice refreshing beer that would be great for summer. This entry was posted in Reviews and tagged Ale, Belgian, Belgian Ale, Belgian Pale Ale, Canada, Pale Ale, Unibroue on April 8, 2016 by Xander. Confluence is a Belgian Strong Pale Ale, dry hopped and fermented with Brettanomyces. The fact that it is dry-hopped does not mean this is a “hoppy” beer, and in fact, in traditional Belgian style it is the malt and yeast on display here. Even though this is a “strong” pale ale, it’s certainly on the lighter side for a Belgian, and for Allagash. The head is foamy and quite pronounced. The nose is quite faint, and has some grape and pear notes. I didn’t catch much else. In the middle are strong pear flavors and a bit of lemon. This continues into the finish with the pear fading and the lemon rising, and some pepper entering the mix to spice things up. The body is medium to heavy, and the alcohol is a reasonable 7.1% ABV. A nice, clean, very well done beer. 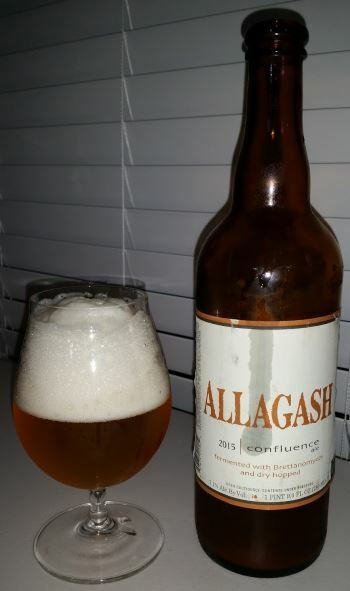 This entry was posted in Reviews and tagged Ale, Allagash, Belgian, Belgian Ale, Belgian Strong Pale Ale, Maine, Pale Ale, Strong Pale Ale on April 5, 2016 by Xander.